A travel company's design is uniquely important. Not only must it clearly communicate what the brand stands for, it must do it in an especially eye catching way, using stunning photography and clean design. WSA has already established that branding, and I am confident I can continue it. Stepping away a bit from the traditional WSA design, I imagined an Instagram campaign that captures the spirit of the cities WSA travels to with a cleverly designed collage. The collage is split into 9 images that together, make one cohesive picture on an Instagram. I created this collage of Prague to demonstrate. When you're in Prague, you're not JUST seeing the sights and the views, you're seeing the small things...like Czech crowns and metro passes and trdelniks. It's the small things that I remember about my WSA trip, and I wanted to highlight that in this campaign. Each caption tells you a little more about the city and how WSA will give them the best possible travel experience. Here are three examples. See the rest at instagram.com/wsa.lily. A different collage would be created for each city, giving visitor's to the Instagram feed a full look at the adventures they'll embark on with a WSA tour. 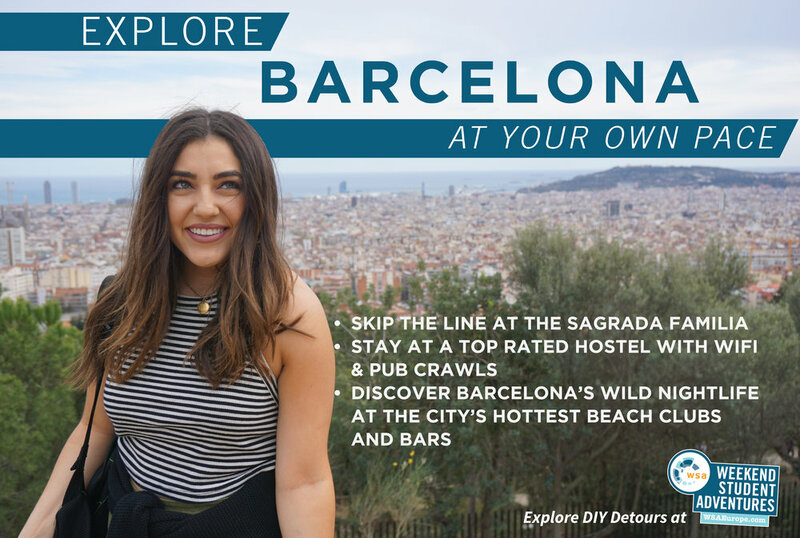 This campaign not only gives WSA the opportunity to talk about their trips in detail, but it sets the WSA feed aesthetic apart from any other travel company.